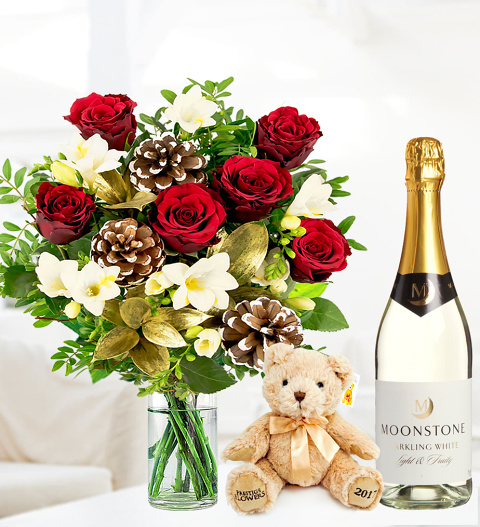 Included is a delicious bottle of sparkling white wine 75cl and a limited edition cuddly bear! Send Season's Greetings in style with this beautifully arranged holiday gift set. Chocolates may contain nuts.